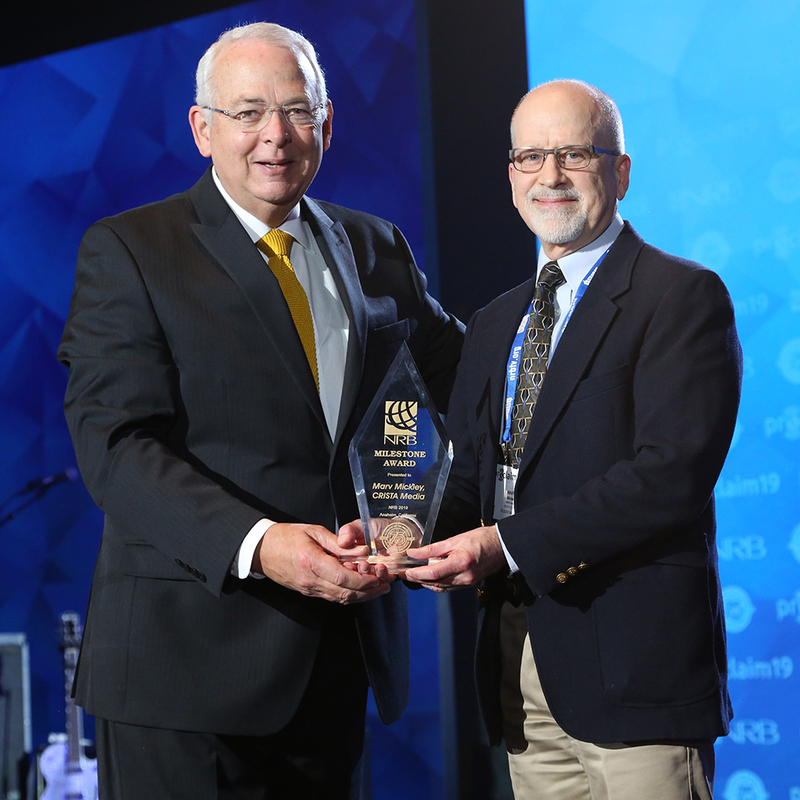 ANAHEIM, Calif. (NRB) – CRISTA Media’s Marv Mickley received the 2019 NRB Milestone Award on Friday, March 29, during the Closing Gala at Proclaim 19, the NRB International Christian Media Convention in Anaheim, California. Longevity in any field is becoming a rarity, and exemplary service in Christian broadcasting for 50 years — or more — is a feat worthy of recognition and applause. Through its Milestone Award, NRB honors the industry pioneers who brought Christian communications to the place of respect and achievement it enjoys today. Mickley began his broadcast career at KGDN back in 1969, moved up the ranks to become program director in the 1970s and pioneered a new station for CRISTA in the early 1980s – KLYN in Bellingham (Reaching into Canada), where he was GM for many years. Mickley continues as the on-air donor strategy manager for all CRISTA Media stations to this day. There are many milestone moments in Mickley's long career, including the beginnings of many well-known teaching programs, such as Focus on the Family and Insight for Living. He has served faithfully to the Lord at CRISTA Media for 50 years. The Milestone Award was one of 20 awards that were presented during Proclaim 19, which took place March 26-March 29, at the Anaheim Convention Center in Anaheim. For the complete list of 2019 award recipients, click here.